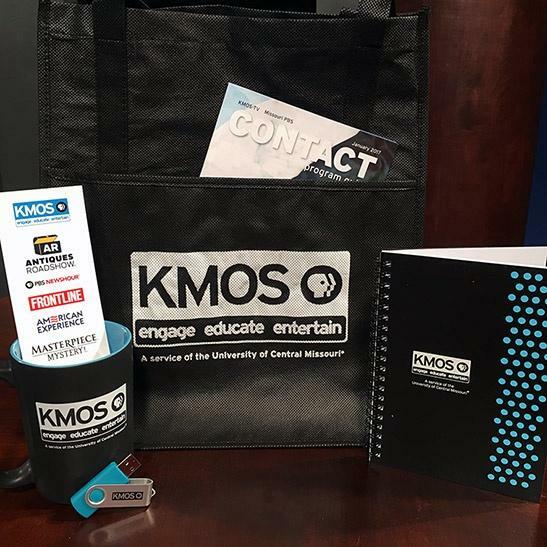 KMOS-TV relies on viewers like you to continue bringing educational, impactful content to our viewing area. 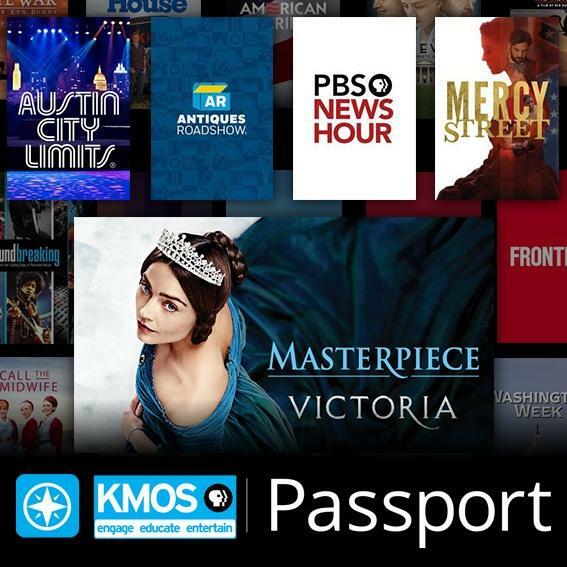 Your membership contribution to KMOS helps us to continue to bring our viewing area the best content, both local and national, that PBS has to offer. 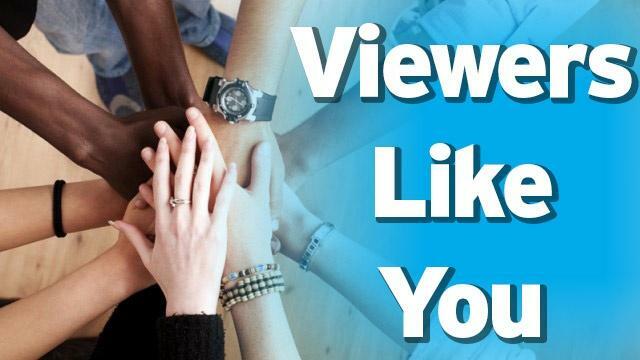 Viewers like you are the lifeblood of your KMOS-TV. Making a donation to KMOS is a simple process. 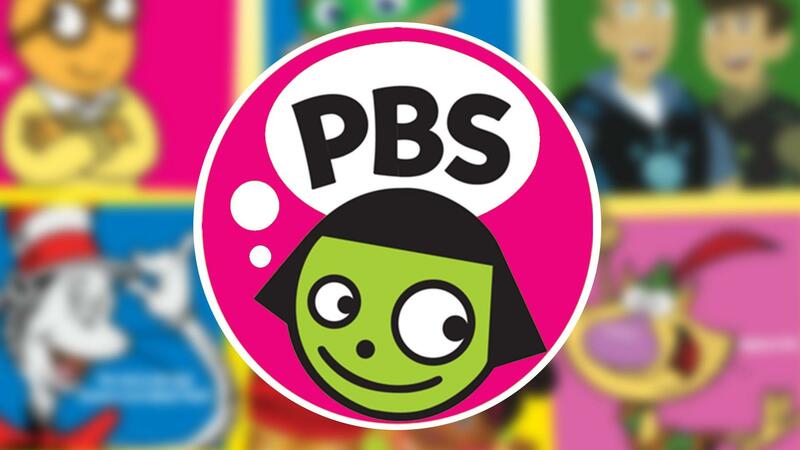 KMOS-TV offers several PBS membership options to help you become a part of our community at any time that is convenient for you! 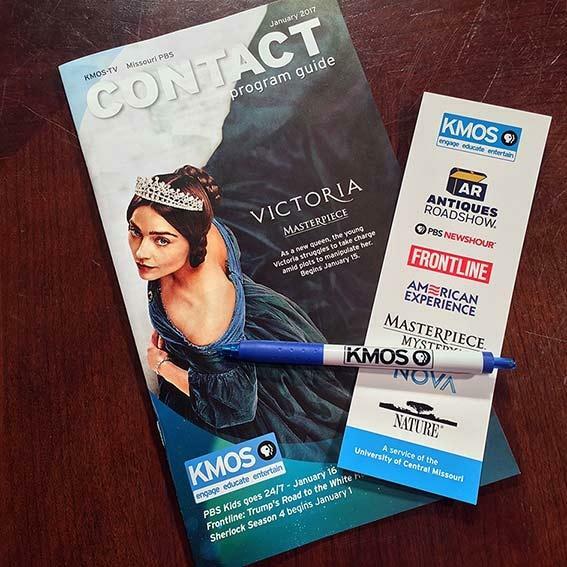 For a yearly donation of $50, Sustaining members will receive a 1-year subscription to the Contact Program Guide, a KMOS bookmark and pen and the knowledge that they supported PBS! 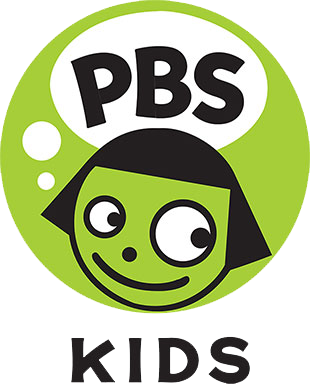 For a yearly donation of $60, Digital members get instant Passport streaming access to their favorite PBS shows anytime, anywhere, on any device, on their own schedule. No limits! For a yearly donation of $120, Select members get everything in the lower levels including Passport, plus everything pictured here. Also included are special invitations to events.